It amazes me how brilliant technicians will devour tomes of administration manuals and reference guides, but might not have read a single book on business or design. Absorbing nothing but technical materials is like working out only one side of your body. You eventually are unbalanced with incredible strength that cannot overcome significant deficiencies. My library is full of O’Reilly must haves, of course. Who can forget Cricket Liu’s and Paul Albitz’s immortal classic DNS and Bind? That was a page turner! There are plenty of “forgotten manuals” and “ultimate guides” as well, but these are not the books that I attribute to helping me improve my career. Technical books have helped me improve my skills. 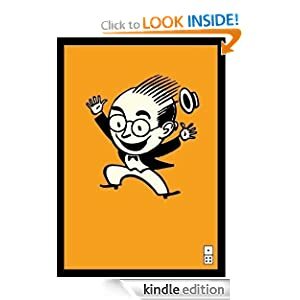 This is by far my favorite Seth Godin book, not because it tells you how to challenge the status quo. You probably already know how to do that. Poke the Box explains to you why the status quo must be challenged, and why you better be the one to do it! This is not some silly wannabe revolutionary’s angry ramblings though. Instead it is a constructive appeal to the reader to embrace starting something new in order to make the world a better place. Maybe you will have an idea that will improve your company’s bottom line, perhaps you will just find more happiness by changing your role to pursue a lifelong dream, but those are just details for potential outcomes. The point of Poke the Box is that if you want to change anything you have to start by defying something; Conventional wisdom, the way “it has always been done”, and most important of all the current working solution should all be challenged by people willing to “poke the box”. Too often we start our IT projects by addressing what the business wants to accomplish, but the results are so much better if you take a step back and ask the question “Why?”. 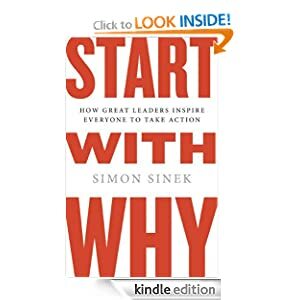 Simon Sinek’s Start With Why and his passionate TEDx talk address this approach wonderfully. I am skeptical about the claim that his “golden circle” is rooted in biology (citations please), but the concept of starting your work by addressing why you do it has had a huge impact on my professional and personal projects. You will have more than success if you start your projects with an understanding of why the work should be done. You will have purpose, and purpose is a powerful thing. If you have ever hesitated, procrastinated, or avoided doing work that you know will be daring and life changing then you have met the enemy: resistance. Steven Pressfield, the author of The Legend of Bagger Vance, knows resistance all too well. He has fought resistance time and time again, and luckily for the rest of us he decided to share his battle plan for defeating resistance on a daily basis. There is no big secret to Pressfield’s approach – you have to do the work! The reason why this book is so exceptional though is that it explains why resistance is so damn successful at keeping us from doing the work that we were always meant to do; Resistance takes so many deceptive forms that we do not even realize that it is blocking us from our true calling. That is why The War of Art is such a great book for any IT professional to read. This book will not tell you how to do the work. That is not the purpose of the book at all. This book will teach you how to push yourself and defeat resistance so that you are always pursuing your best work. 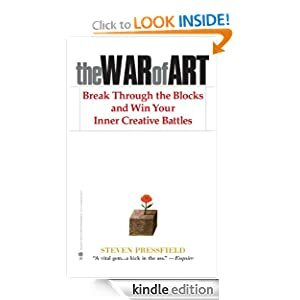 Learn the lessons of The War of Art and the impact on your career will be noticeable! Enjoy these titles, and be sure to connect with me via LinkedIn if you wish to share your favorite works that have made you a better IT professional. Remember that technical books are great, but they are not enough to truly be great in the world of IT. Any book that challenges your way of looking at the world around you might just be the one that moves your IT career forward! Tagged books, design, poke the box, purpose, resistance, seth godin, simon sinek, start with why, steven pressfield, the war of art. Bookmark the permalink.